Profile: Who Did That – hardtofind. 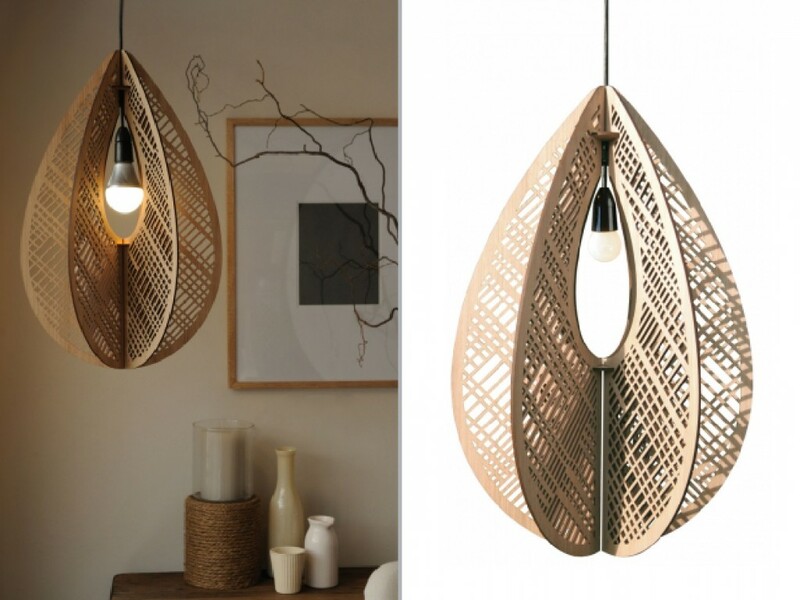 Who Did That’s pod luxe leather pendant light ($545) uses leather from a family-owned Victorian business. 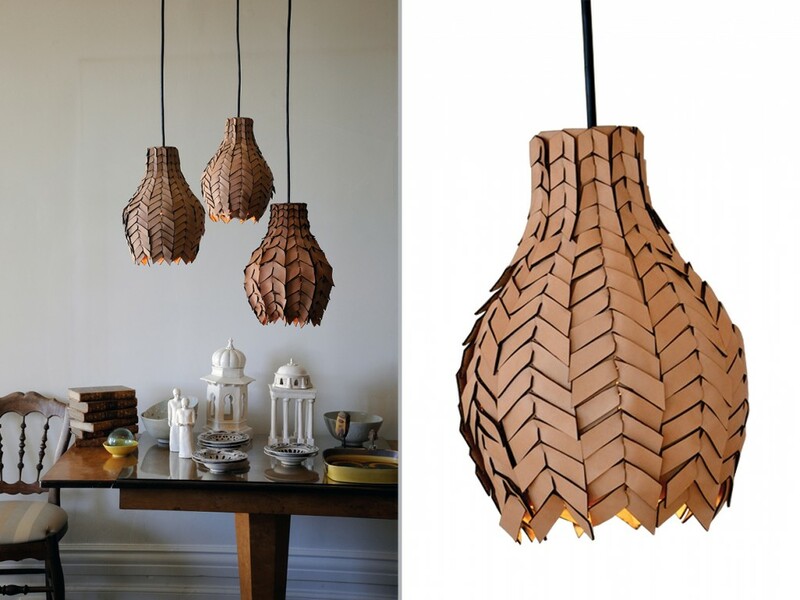 All of Who Did That’s wooden pendant lights are made from sustainable Tasmanian timber. Baroque grandelier, from $290. When decorating a room, you think about what colour to paint the walls, which furniture to fill it with, which cushions would look best – but perhaps the most important thing to consider is the lighting. 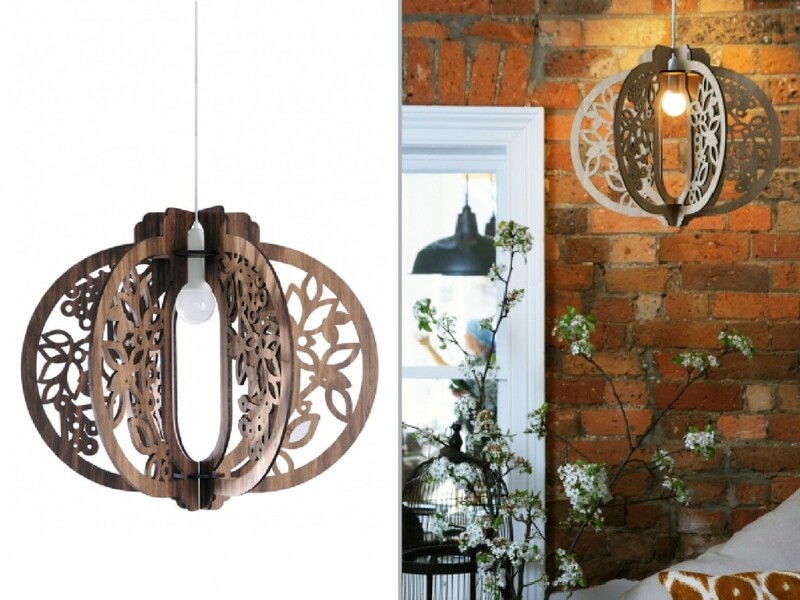 The lighting you decide on can change the whole look of a room, so why not choose something that makes a statement! 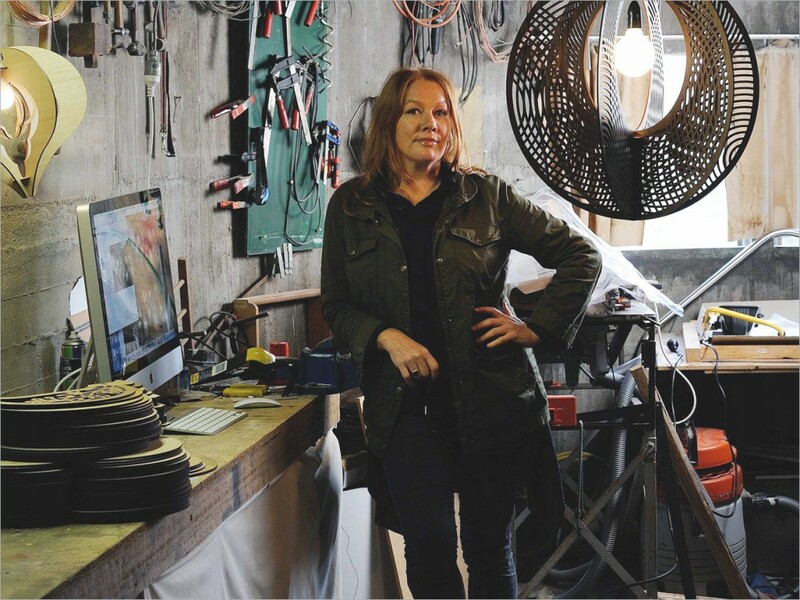 Loz Abberton from Who Did That designs stunning pendant lights with a social conscience. The materials she uses are locally sourced, sustainable, tactile and distinctly Australian. Loz spoke to us about the inspiration behind her flat-pack, cut-out designs and the challenges of making eco-friendly products. What’s the inspiration behind Who Did That? Flat-pack is a continuing thought for me. As a kid, various honeycomb paper decorations flavoured our house for celebrations; one week, jumbo-sized baubles, the next, perfectly folded paper stored in a drawer. So creating a range of lights reflecting that simplicity was my foremost inspiration. It also makes my products ideal for delivery, whether it’s just around the corner, or around the world! 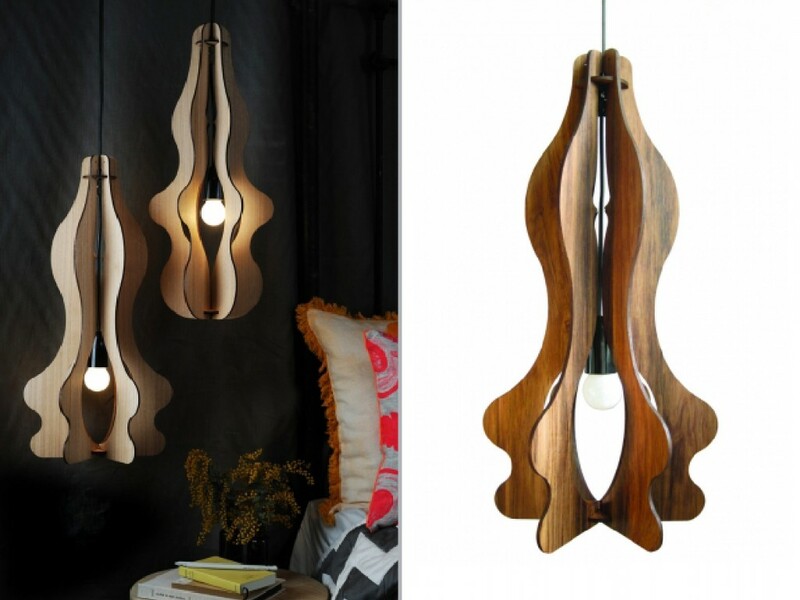 What goes in to creating a pendant light? The certified Chain of Custody supplier is just up the road, so I catch up with them and select the veneers. All the timber comes from local, sustainably managed forests, and the leather is from a Victorian family company that uses a wattle-bark medium in the tanning process as they have since 1865. As I’m using natural and organic materials, I look to the environment for inspiration – the patterns in nature are worth translating into a design. 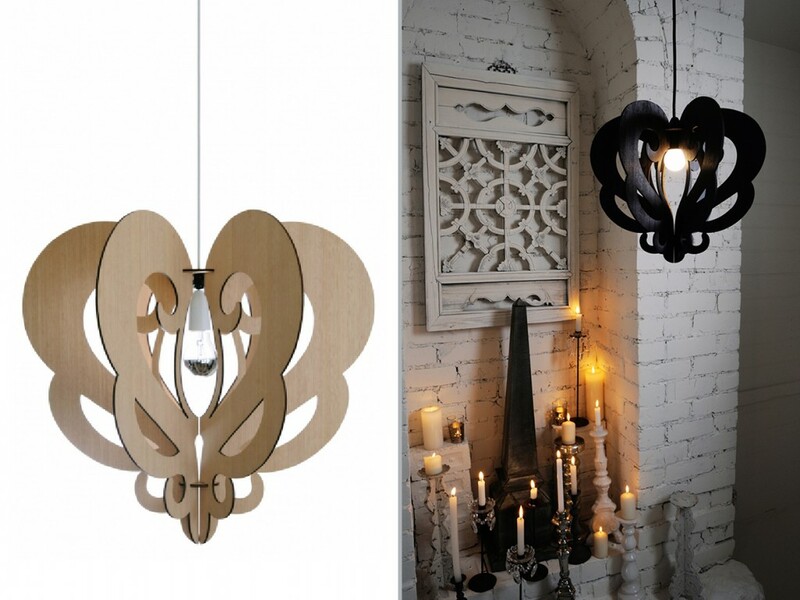 What sparked your interest with lighting? Sunlight, moonlight, fire light, streetlight, and the transformative shadows they create. Light draws people in – it must be our primal genes. Which is your favourite product? If pressed, I’d say I’m enraptured by my new pod luxe leather lights. Not so much challenges as discoveries. Sourcing quality Tasmanian and Australian eco-accredited materials was initially frustrating (we all know about the problems our forests are facing). I also once read that growing a brand is a marathon not a sprint – I love that idea! Avant-garde, uncluttered, right-brain, natural, original. Shop the Who Did That collection here.